Who is Allen Cunningham? 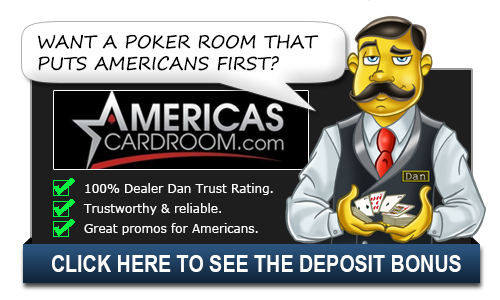 | Allen Cunningham Bio - Casino Answers! Allen “Clever Piggy” Cunningham experienced his first big win at the 2000 WSOP; Allen won in five events and made it to the final table in the $5K Limit Omaha Hi/Lo tournament. He finished in 2nd place. At the 2001 WSOP Allen won four events his first WSOP bracelet and over $200K. These victories saw him voted Best All-Around Player under 35 by fellow professional poker players. Allen won his second WSOP bracelet in 2002 and in 2005 he made four WSOP final tables and earned his third bracelet. He was also awarded the 2005 ESPN/Toyota Player of the Year award. Also in 2005, Allen was named WSOP Player of the Year. In 2006, Allen won his fourth WSOP bracelet and also placed fourth in the WSOP Main Event, winning more than $3.6 million. In 2007, he won his fifth WSOP bracelet in the $5K Pot-Limit Hold ’em event. This tied him in 5th place on the All Time Bracelets List. In 2008, Allen won the WSOP-C No-Limit Hold ’em Championship at Caesars Palace and reached the final table of the $2.5K Pot-Limit Omaha/Hold ‘em event at the 2008 WSOP, taking 4th. Allen has over $10.2 Million in career tournament earnings and is currently plays online exclusively at Full Tilt Poker. Allen Cunningham actually studied civil engineering at the University of Californa – Los Angeles (better known as UCLA) before dropping out to give professional poker a try. The study in civil engineering really helped him get better at the game of poker as it gave him a really analytical bent and kept him controlled and focused as he played the game. He had started playing poker at Indian casinos at the age of 18. He was winning small tournaments and having success at lower limit games, eventually moving up to $10/$20. The older he got the, better he got and he became known among the Indian casino crowd as a player. He eventually was able to parlay that success into a professional career. Cunningham is considered one of the best tournament players ever as he is in a very exclusive club of players to win a World Series of Poker bracelet three years straight. Including Allen, only five players have ever done that including Johnny Moss, Bill Boyd, Gary Berland, Erik Seidel and the immortal Doyle Brunson. As of 2018, Cunningham is actually in a relationship with another poker pro in Melissa Hayden. She has been very successful in her career as well with career winnings over $850,000. She has 11 money finishes in the World Series of Poker and four money finishes in the World Poker Tour. He lives with Hayden in Las Vegas and is a regular member of the tournament circuit. He’s also a big player in games like HORSE and Pot-Limit Omaha, which are known as two games that really test the meddle of a poker player. Always challenging himself, Cunningham remains a force to be reckoned with in a poker tournament. Most recently seen taking down $14k in a non-bracelet event at the 2018 World Series of Poker.